Levent Karadol is blind, but he doesn't let that stop him from making his dream come true. Meet Levent Karadöl. After suffering from a disease at just 7-months old, Levent lost his eyesight. Sun is nothing but a feeling of warmth to him. He doesn’t even know what “darkness” is like. But now, he is 40 years old and his life is a story of success. Getting full support from his family both emotionally and economically, Levent did not give up on life and grew up to be a licensed psychologist helping people. Now he is happily married and a father of a son who is just one-month old. It is impossible for us to comprehend what he has been through. However, what we can easily relate, though, is the passion he held throughout his life - a love for cars and speed. About 2 months ago, Levent shared his passion with Motor1.com Turkey’s Youtube channel via a comment asking if one day he could be a part of our car reviews. Our team naturally could not ignore such a sincere request. After a long process of preparation, Motor1.com Turkey team prepared a surprise for Levent that he would never forget. 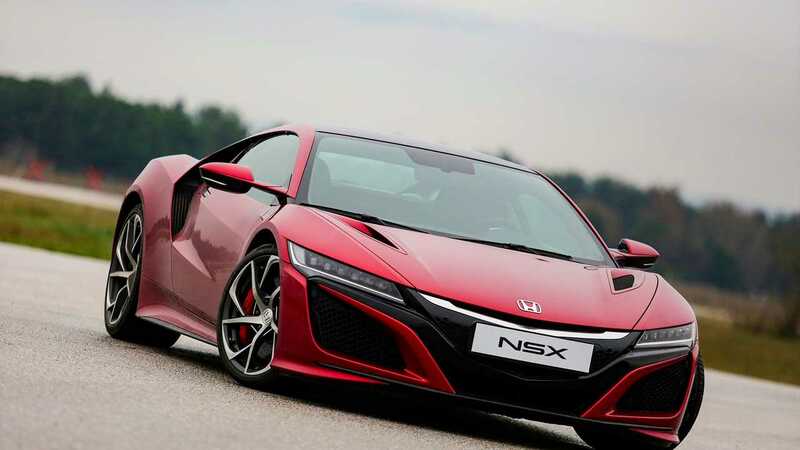 With his passion for cars and speed stronger than ever, Levent got behind the wheel of a sports car, a Honda NSX valued at 1 million dollars (approx. £780,000) in the Turkish market. He drove through the darkness passionately with his advanced instincts reaching 152 mph. We are lost for words so we will let you watch this emotional and unique video to decide for yourself. Make sure you have the English subtitles [CC] enabled in the YouTube player.